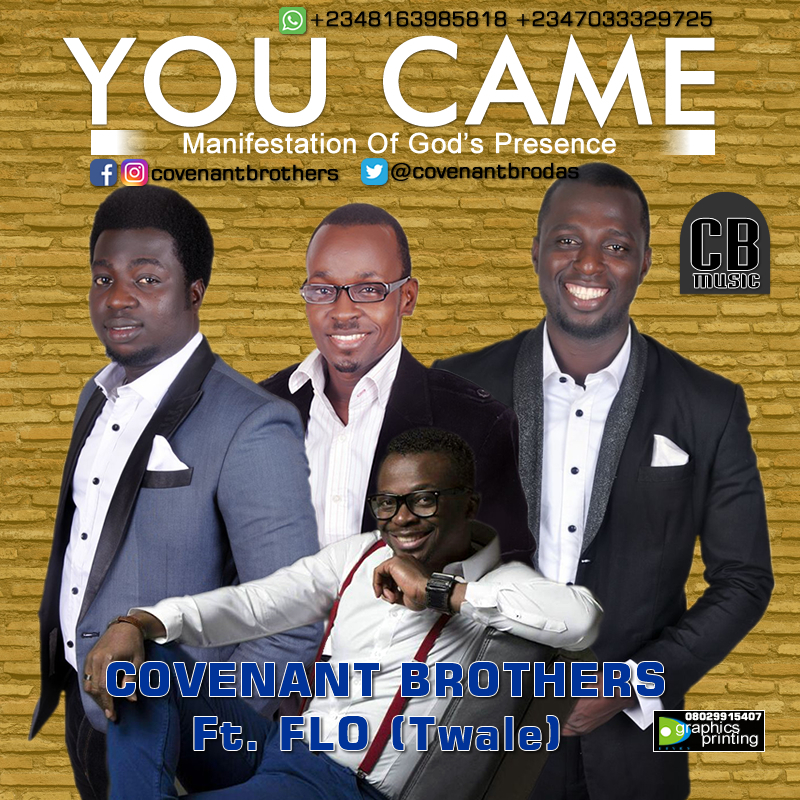 Known for their unique sound of worship and praise songs only inspired by the scriptures and the Holy Spirit, the Covenant Brothers (Consisting of Oluwatobi Black, Adebayo Oluwanifemi and Olawale Young) are Lagos based, Nigerian gospel group of young, married men sold out to Christ and have one mission in this day and time...'to show forth the praises of Him who has called us out of darkness into his marvellous light.' Their style of gospel music captures the quintessence of the Nigerian flavour. The trio are fast rising, and in their 15 years of ministering, they have been opportuned to minister alongside notable Nigerian and Internatiinal ministers on various platforms home and abroad like: RCCG INTERNATIONAL CAMP GROUND, Foursquare Gospel Church NATIONAL CAMP GROUND and HEADQUATERS, TREM INTERNATIONAL HEADQUARTERS, INSPIRATION PRAISE JAMZ, MARATHON MESSIAH'S PRAISE(Daddy Adeboye's Yearly Birthday Concert), to mention but a few. They are the first LAGOS SHIFT AMBASSADORS and here is a new worship song from them featuring FLO (Twale crooner), titled "YOU CAME ". A song that talks more about GOD's manifestations. In this period when many are shouting RECESSION but God is saying POSSESSIONS of many abundance of good things are your portion. Many testimonies has come in durring and after the stage perfomance of this song and yours will not be an exceptional.